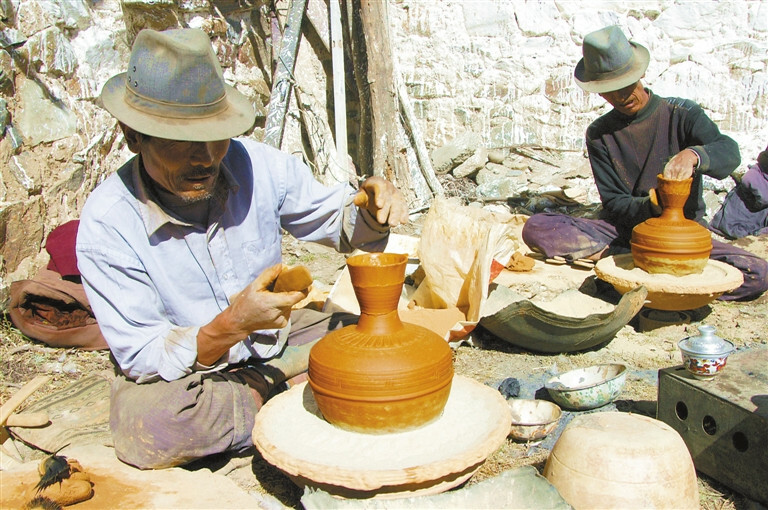 In 2006, the folk traditional pottery making craft of Tagba Village, Maizhokunggar County, Lhasa City, southwest China's Tibet Autonomous Region, was included in the first batch of autonomous region level intangible cultural heritages list. To protect and inherit this traditional national art, in 2009, Maizhokunggar County invested over one million yuan in establishing Tagba pottery industry. At the same time, pottery making personnel are sent to study advanced modern pottery making skill outside Tibet every year. By combiningwith the local traditional arts and crafts, Tagba pottery making skill is developed with innovation. At present, Tagba pottery industry can produce more than 3000 different kinds of pottery products which are favored by customers.